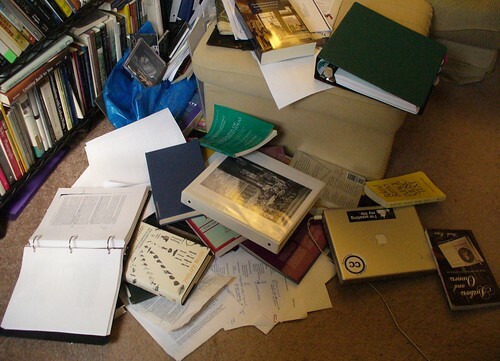 This week’s 23 things is on Evernote Organisation. Which has given me the chance to talk about my favourite thing Evernote. I’m not a naturally organised person but Evernote has helped me no end. 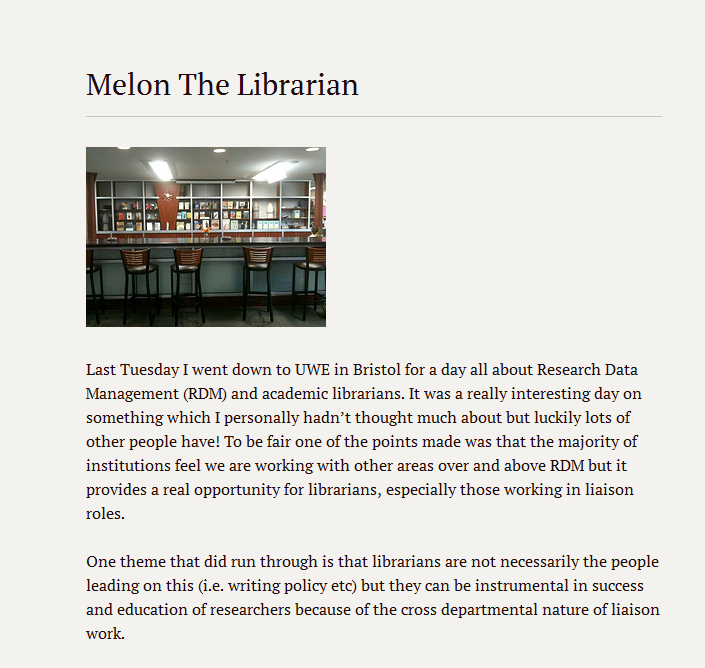 This is the post I did for 23 things RHUL on Evernote to give some background about what it is. 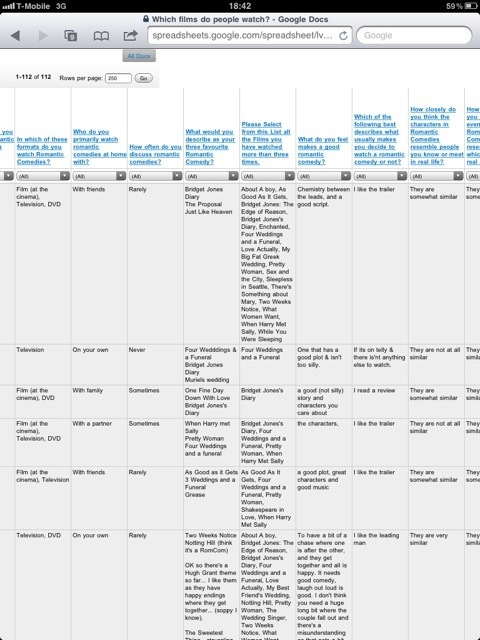 @melon_h depends on your idea of interesting, but use it for recipes using tags for retrieval. Also knitting, as can use checkbox for rows. Not being a knitter I have no real idea what Lynne means but it sounds good! I also use it for recipes. This notebook contains them. What is absolutely brilliant about this is that you can search by ingredient. You might have chicken to use up, search your recipes and all the recipes with chicken are there. Brilliant. @samanthahalf @melon_h I’m liking that I can write a blog post on Evernote & share it to WordPress.Great if you don’t like an interface! I’m catching up with 23things myself. I have blogged in the past about social networking so don’t really want to repeat myself but I think Social Networking is important for libraries and librarians both for promotion and for networking. Personally my key professional network is Twitter. When I started work on 23things RHUL I asked for tips from other people who had run it in the past – this request went out via Twitter and the responses came thick and fast. Some from participants of 23things as well as people who had run it. But this isn’t the least of the reasons to interact professionally with Twitter. Learn about library – Find out what influential people in the library world are thinking and doing. Keeping up to date – often Twitter is the first place people find out about major news events. It is also very useful if you commute or have to travel at all as this post I did illustrates. Compliment / Complain – had great service? Tweet about it and let others know when a brand does well. Had bad service? Same applies. Also most companies take Twitter seriously so they will respond to complaints as they are public. 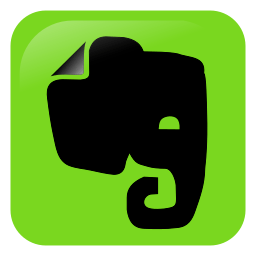 Evernote is THE best app I have found in the last year. I was given the task of looking into it for 23 things city and to be honest wasn’t sure what use it would really be but now I have no idea what I did without it. I was always starting a notebook then forgetting it and starting another then never looking at the notes anyway because I couldn’t read my writing or had to scan through so much that I couldn’t find what I was looking for but with evernote I am finally becoming a notetaker! I use Evernote to plan blogposts, take notes in meetings or lectures and save pictures or links. I use it both personally and professionally. I can start something on my laptop at home, work on it on my iPad on the train, edit it on my work PC, log on to any computer to check it via the web and share it via my phone if I want. At the Business Librarians Association Conference I was able to make notes, download all the pre-conference information and agenda and keep it all in one “notebook” on Evernote. When I came back to the office I could view these notes online and add links to them where needed. I can then share the notes with colleagues. For example these notes on a talk about doing a library video from the conference. Even if you don’t have a mobile device to use it on or a lap top to download it to it can still transform your work. * This is a note I created linking to a clipping of this page. Evernote have some getting started pages which take you through everything step by step. 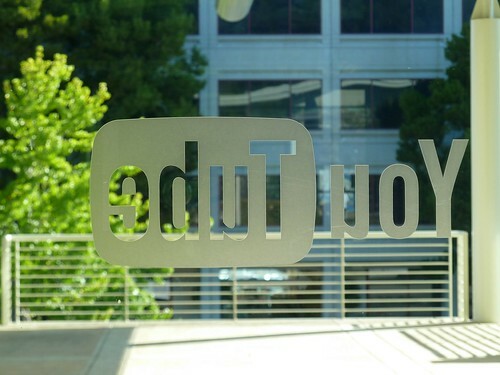 Fancy YouTube things – next year’s library video might be in 3d. Did you know you can do lots of fancy things in YouTube including editing and adding “effects”? I don’t entirely understand this … http://www.youtube.com/leanback (apparently like wathcing videos from afar – seems similar to full screen to me). Twitter is the answer to travel nightmares. I remember thinking this last November in the snow and today this was confirmed. From sometime this morning there was widespread travel chaos across the Southern network caused by a flood and then a landslide. Looking at the live departures on Southern’s website it was clear that we would not be going anywhere south of Croydon this evening. Then Tweets confirmed that there were huge delays at Gatwick and the rail replacement bus services were overwhelmed. Before Twitter I could only have guessed this but through my network I had people updating me from all over the place. I knew the Eastbourne and Brighton lines were both impossible to get down. The national rail website only told me all the trains were cancelled and I needed to find alternative trains. It made no suggestion of what these trains were. So I looked at other routes, using my own local knowledge combined with confirmation from Southern that Southeastern were accepting tickets. I realised if I could get to Tunbridge Wells I could get a bus that stopped practically outside my flat. So I left work and headed to Charing Cross. Emerging from the underground I heard an announcement that no trains were travelling between Tonbridge and Tunbridge Wells due to a lineside fire. Tonbridge is the town before Tunbridge Wells. This was not good news. I then saw a tweet from @southernrailuk saying I should go on this route. I replied to them and told them there were problems. My response was retweeted by people living near me. After encountering flood, landslide and fire I laughed at a tweet from @angefitzpatrick suggesting that she wouldn’t be surprised if all replacement bus services were cancelled due to Godzilla. I wouldn’t have been surprised either! I then had a text from my friend Catherine saying she was on a train to Ramsgate and getting off at Tonbridge, the guard on the train said that the trains still weren’t going through to Tunbridge Wells but should be soon. So I hopped on the next train to Tunbridge Wells in the hope it would get me home. While I tweeted about my journey I had a message from someone else on the same train asking how to get from Tunbridge Wells to Lewes. I also spoke to some people around me who were trying to get to Uckfield and Lewes. They were impressed that I had information from Twitter. Through Twitter and my friend on the train in front I was able to both be informed and keep people informed. A group of random people became connected. I was also buoyed up by tweets from friends wishing me luck on my journey and really impressed by Southern’s own use of Twitter. They replied to my tweets. This included an apology after I tweeted them an update on the journey. I was able to check bus times on my ipad and tweet them. We arrived at Tunbridge Wells just after 6:45 and the bus came on time at 6:58. I’m sure he doesn’t normally have quite so many people going to Lewes at that time. The journey through the highways and byways of Kent and Sussex was speedy and a bit of a white knuckle ride but an hour later I was getting off the bus just by my flat. It was almost 4 hours after I left work (thirty minutes early) and I was over an hour and a half late home but because the delays were so bad I didn’t mind so much. It’s times like this people muse why I commute. It’s simple, I get to live in the best place in the world. Delays like today are very rare and they are so bad there’s nothing anybody can do about it. It wasn’t Southern’s fault that a watermain burst and then there was a landslide. The fire was just so surreal that I was waiting for a plague of locusts to delay the bus. So, yet again, if anyone asks why you should join Twitter tell them that it is the best way of finding out what is going on and should fire and brimstone rain down on your journey home nothing beats it to help you get on your way. Or as @archelina said “twitter f***ing rocks in a travel crisis”. Couldn’t have put it better myself! This morning I caught my usual 6:51 train and over heard a couple of commuters talking about their horrendous journeys home. It was clear they hadn’t used Twitter and had been in the dark about what was going on. If you are a commuter then sign up to twitter, follow @SouthernRailUK and @NRE_Southern (or the relevant ones in your area) also follow other people from your area. I was home 2 hours before the people who hadn’t used Twitter! This week on 23 things City we are looking at Office 2.0. two of the things are Google Docs and Survey Monkey. I felt this was a good point to mention how I used Google Forms in Google Docs to do a survey as part of my MA Film Studies. I used Google Docs because it allowed unlimited questions unlike the free version of survey monkey, otherwise it was similar to survey monkey in that the link was easily distributed (via Twitter and Facebook). Google Docs allowed me to enter unlimited questions and direct people to particular questions based on the responses to a question which was a great asset, although for some people this functionality didn’t work which annoyed some respondents, I have a feeling it was to do with their browsers because it worked when I tested it. When I got down to the analysis and I discovered Google Docs does a lot for you. For example you get a lovely summary which includes graphics, percentages and counts. The data summary meant I had more time to get on with the more detailed analysis, such as looking at gender differences in the responses and the free text answers. It was possible to limit the size of the free text responses but these provided a lot of information such as “I find watching rom-coms relaxing and uplifting. They make me think that not all men are immature pigs. They are also good fun to watch with your friends and family (usually female or gay male ones). The humour in them is usually more subtle than comedies with a broader focus (i.e. ones aimed at young men).” (Female, 20-29)” and “”I don’t have any because they are all rubbish. Sometimes I am forced to watch them by my wife to be.”” This respondent felt that enjoyment was only to be had by “”Short viewing time and numerous phone calls to interrupt it. Failing all of that a packet of jammie dodgers to eat” (Male, 30-39)” (this same respondent thought Die Hard 2 was a romantic comedy). The form I created is still available so if you want to have a look here it is. (It’s based on a particular study which is why with hindsight some questions would be different). Google forms is great if you are undertaking complicated research and even for simple surveys I think it provides a great alternative to survey monkey with more functionality for free. Although it has to be said the survey monkey part of this week’s things is causing far more hilarity than expected and more on that will follow at a later date. Another of this week’s 23 things is Twitter. In my experience Twitter is a bit like Marmite. You either love it or hate it (or simply don’t get it). I love it, although if I had to choose I’d choose Facebook over it because more of my real-life friends and family are on there and there’s more to it. I posted a few weeks ago about the merging of professional and private lives via Twitter and the power of Twitter so I won’t repeat that here but I will give a brief introduction into why I love twitter. The BBC and the 23thingscity blog both explain Twitter very well but basically people post messages (tweets) in 140 characters or less and often have conversations using these tweets. People have Twitter usernames, mine is @melon_h, which allows other people to find them and follow them. Unless you have protected your tweets anyone can follow you and you don’t have to follow them back but you can block people if you don’t want them to see you. I have been on Twitter since 9/2/2009 (coincidentally I joined twitter about the same time I had my brace fitted. There’s no connection between these events except when I had my operation I did get lots of nice messages from various tweeps). I think my use of Twitter increased when I got a blackberry, I check it whenever I check my phone for messages or emails. It’s part of my daily routine. Twitter works best when you take part in it. You need to interact with people on there otherwise you’re basically the person sitting in the corner listening in on other people’s conversations but turning away when people try to talk to you. It can be daunting sending that first message to someone you don’t really know but what’s the worst that will happen? They might ignore you but unless they’re a celebrity who gets hundreds or thousands of messages it’s unlikely (and if they are a celebrity they might just reply). I use twitter mainly to interact with other librarians and colleagues (both former and present) but I have a few people on there I know personally not through work. I also follow a few celebrities and several organisations and newspapers. I do think being part of a network of librarians who tweet makes it more relevant to me than if I wasn’t using it professionally which may explain why people doing other jobs can’t see the point. I also enjoy watching the Apprentice and question time while tweeting with other twitter users. I’ve had conversations about Neighbours, Eastenders, and One Tree Hill with people I only know via Twitter. Of course if you don’t want to know the results of anything you need to avoid twitter, much like that episode of Whatever Happened to the Likely Lads where they spend the day avoiding the football score. Every day I see something that makes me laugh and something that makes me go wow. It’s probably my main source of news headlines, leading me to the whole story (usually on the BBC or guardian). I also am much more professionally informed because of twitter than I ever was before. When I was stuck in London last year because of the snow it was Twitter that kept me better informed than any of the rail staff or websites could. 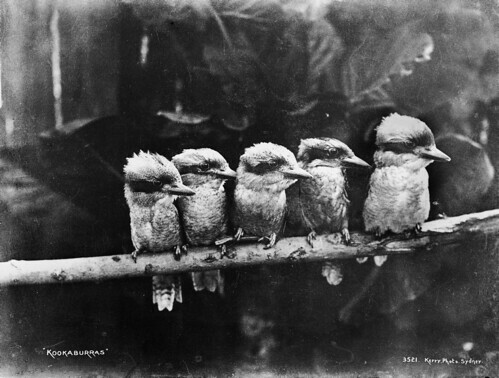 One of the 23 things participants, Library Apocalypse, described Twitter as being like a radio. Always buzzing but you can tune in and out of it. I’d say that’s a brilliant description. One of the other good things is you can tune in and go back to interesting things by searching or using hashtags(#) to follow an event, conference, news story or any other stream. For example the # tag for 23 things city is #23thingscity. You can also retweet things you want to swear. According to my friend Jenny I do this a lot. I am offering no comment on this. Thinking about Twitter for this week did make me wonder when I joined twitter and what I said first. Luckily (This sounds like a bad advert) there’s a site to help you find this out. It is called rather imaginatively my first tweet. It’s safe to say I started tweeting when I was doing the film noir module on my MA! 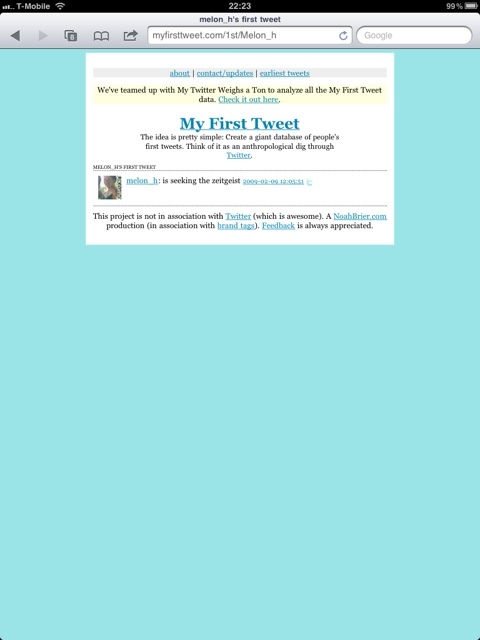 Now that was my first tweet but what about the first tweet ever? According to the BBC it was “just setting up my twittr” personally I think mine was better! Grace dent has written a book called “How to leave Twitter”, a few extracts have been published in the Guardian and make amusing reading (Grace Dent: 100 things about me and Twitter, Three typical tweeters, and Love in the Time of Twitter. Whether Twitter will last or go the same way as myspace ( I used to log on to that all the time … I probably haven’t been on there for two years. Ooh maybe since I joined twitter!) only time will tell but right now I can’t imagine not using it.